The whole point of movie trailers is to increase the excitement factor for the advertised product, and that’s exactly what this Bohemian Rhapsody one does. The whole trailer is amazing, but it's the montage sequence in the latter half that leaves our jaws on the floor. In fact, the montage is nothing short of magnificent, featuring several shots of Mercury performing as part of Queen (both from his early and later days), as well as more private moments of the band discussing their music. 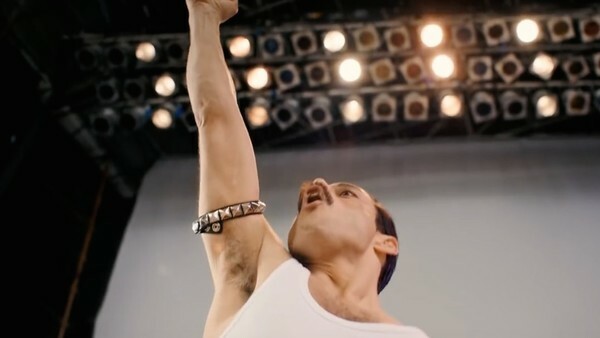 With signature Queen tracks like ‘We Will Rock You’ and ‘We Are The Champions’ spliced together to fit the corresponding scenes, the music goes hand-in-hand with the visual montage, creating something truly special. Our excitement for this movie has increased significantly on the basis of this montage sequence alone.